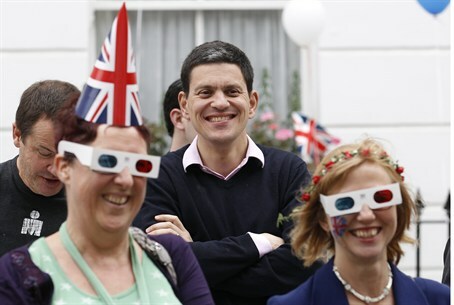 David Miliband now admits that his party was wrong in ignoring the consequences of mass immigration. A signature moment in the 2010 General election in Great Britain was the encounter between Labour's leader, Prime Minister Gordon Brown, and a traditional Labour voter who complained about a disproportionate amount of services going to immigrants, leaving less for native British citizens. Not aware that he was being recorded, Brown complained that the widow he was talking to was simply a bigot. This did not help him - to say the least - in the elections. Additionally, Labour found itself in the embarrassing position of having to fight off challenges from the British National party in solid Labour constituencies. Labour has also watched what is going on in the European continent, where voters of the left are increasingly tempted by populist parties brandishing the immigration issue. Now in the first reassessment of what went wrong, Labour Party leader Ed Miliband is conceding that his party ignored those who were disadvantaged by immigration. In practice, since the major push for a cosmopolitan cool Britannia came from ex-Prime Minister Tony Blair, what Miliband is doing is not exactly a hard sell within his party. It does not retain many Blair loyalists. Miliband says that those who wanted cheaper building benefited by the influx of immigrant workers, but others were crowded out of the job market. It is important to note that the backlash is not just against Third World and Muslim immigrants, but primarily against immigrants who came from within the European Union and were protected by the European Union's policy of free movement. Labour opened the floodgates by not imposing temporary restrictions for the entry of Eastern European citizens. Miliband's problem is that the rules of the game have not changed within the EU, so what he can call for are ways of working around the problem. He will curb employment agencies that recruit foreign workers exclusively and denigrate British workers (in one recent scandal, one firm actually specified proficiency in Polish as a job prerequisite). Companies with more than 25% foreign workers will have to notify the local job center in the form of an early warning system. He will also promise intensive retraining to make local British workers more competitive. Conservatives responded that was a bit late for Labour to be making amends after it is responsible for severely aggravating the problem. It is also uncertain whether Milliband's admission will enable the party to compete effectively in working-class districts with parties who claim that Britain is too fettered by the European treaties and the only way to reach a solution is by seceding from the European Union - or at the very least, clawing the government's authority back from Brussels.